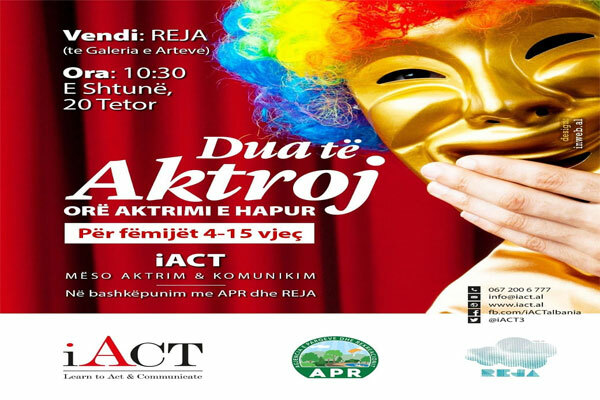 Take your kids this Saturday at Reja at 10:30 am to join the iACT Studio Open Acting Hour. A lot of energy and positivity to spend a different and educational Saturday. Acting, energy, positivity, new societies will be the key words of this weekend!